Your tixCraft account may start purchasing tickets after your mobile phone number is successfully verified. Anne-Marie, the brightest new star of British pop music, has an incredible voice with wide range. Noisey used to describe her voice as something that could literally open the heavens. Being one of the rising stars, Anne-Marie had been chosen as support act for Ed Sheeran’s world tour. Her single “Rockabye” collaborating with Clean Bandit topped the UK single charts for 9 consecutive weeks which was the first time after 22 years. Now Anne-Marie is bringing her first ever show to Taipei. Want to see her powerful performance live? You just can’t miss the opportunity this time! 📍 Up to 4 tickets are allowed per person. Tickets are limited for presale session. tixCraft and Live Nation Website are different websites, in order to attend Live Nation Members presale, please register on both websites. 📍 Please queue for entry in the order of the serial number printed on the ticket. 📍 For safety reason, children under 7 years’ old, people under 110cm and pregnant women are not allowed to enter GA zone. 📍 There will be security check upon entry. No suitcase of any kind is allowed. For more entry regulations, please see Live Nation Taiwan website https://www.livenation.com.tw and Facebook page https://www.facebook.com/livenationtw/ before the show. 📍 Promoter reserved the right to change these terms & conditions at any time. Tickets can be refunded within three days of purchase. A service fee of 5% of the ticket prices will be charged for ticket refund. For discount ticket applicants, you must be able to present valid documents upon purchase and entry on show day. The total amount of refund tickets for each person/show should not exceed the limit quantity of each show in all circumstances. No suitcases of any kind/ professional videos and audio recording equipment / professional photo cameras / telephoto lenses / drones / tablets / Go Pro cameras are allowed. There will be security check while entry. Any items against security regulations will not be allowed for Entry. Please arrive in advance for security check to avoid late entry., if you have any luggage or any prohibited items, please don't bring to the venue. For concert general guideline and security regulations, please go to Live Nation Taiwan website www.livenation.com.tw or follow Live Nation Taiwan Facebook page www.facebook.com/livenationtw/ . One ticket is valid for one person (including children) ONLY for the date on the ticket. Please read these terms and conditions and check the content of your order carefully. The transaction is non-cancellable once the payment is complete. Tickets cannot be re-issued, refunded, or exchanged if they are lost, damaged, burned, or not recognizable. Tickets which have been altered / tampered / defaced and copies / scans of tickets are invalid. There are some fans purchased tickets from non-official ticketing system such as secondary-ticket-selling websites. Artist management would like to appeal to all the fans not to buy secondary concert tickets. Please visit official ticketing website – tixCraft. tixCraft will release available tickets from time to time, please pay attention to it. There are possibilities of unable to enter due to secondary tickets’ controversy, please protect your own rights and interest through purchasing tickets from OFFICIAL ticketing. Tickets which are bought in any resale platforms at a greater price than the official price are not refundable under all circumstances. The promoter reserves the right to report to police according to the Social Order Maintenance Law Article 64-2. Please follow the concert regulations, for those who violate the rules, we might restrict you from attending the concert and reserves the right to pursue legal actions. In case the event is postponed or cancelled, the promoter is not responsible for traffic or accommodation compensation. Please don’t stand on chair for safety reason. Please don't raise any support boards or cellphones to block other’s view. Please don't throw any kinds of light sticks, bottles or cans or objects may cause damage. The staff members have the right to request violators to leave the venue. For Lost Tickets: Dial 02-8772-9835 or EMAIL：tixcraft@tixcraft.com at your earliest convenience. Please bring police report, proof of purchase and you photo ID and go to the tixCraft ticket booth before 6:00PM on show day to sign the certification document. Once show starts and the ticket is confirmed as not occupied, you will be able to enter. However, if anyone with the ticket shows up and he/she will be the priority, audience who lose tickets need to re-purchase ticket for admission. We may report to police station if there is controversy. Reissue of tickets is not available, please keep your tickets well. Please check Live Nation Taiwan Official Facebook Page for admission guidelines https://www.facebook.com/livenationtw/ . The promoter reserves the right to alter / amend / modify or cancel the event without notice. For further questions, please contact our customer service at 02-8772-9835 (service time: Mon. through Fri., 10:00-12:30 and 13:30-18:00, unavailable on national holidays) or email to tixcraft@tixcraft.com. Up to 4 tickets are allowed per person. You can choose "Credit Card" (online only) or "ATM Money Transfer" as your payment method. Please note the ATM card you use must be registered by Taiwan bank and please finish your transaction via ATM money transfer within 1 hour after the order is confirmed. After 2019/07/22, payment method is "Credit Card" only. VISA, MASTER, JCB cards are acceptable for credit card payment. American Express, Diners credit cards are not acceptable. If your transaction is failed or declined by paying with credit cards, please always check your order status on our website whether the order is confirmed. Bank transfer over the counter is not allowed. Paying with a non-Cathay Bank ATM card or at a non-Cathay Bank ATM machine will be charged NT$15 as extra bank charges. If you have any unpaid orders or if your payment for any orders has failed in your account, you will need to wait until the system automatically deletes the previous orders for the next purchase. If there is a refund ticket, the system will automatically release the seat on the system. ♦You only can choose "FamiPort取票(Pick up Via FamiPort)" as your collection method. Please get your tickets printed at your nearest Family Mart FamiPort Kiosk in Taiwan. Please read and follow the ticket pickup instructions shown in "Order History". Make sure you print the "Order History" page or remember your "Ticket Pickup Serial Number" and "Ticket Pickup Number"
Go to your nearest Family Mart CVS and get your tickets printed with the following steps. Find a FamiPort kiosk at the Family Mart CVS. Please click "票券" → "展演娛樂" → "拓元售票系統" at FamiPort. Please input your "Ticket Pickup Serial Number" and "Ticket Pickup Number" respectively and print the voucher. Please bring the voucher to the cashier in the same Family Mart CVS and get your tickets printed. Please note an amount of NT$30 in cash per order as service fee will be charged upon ticket pickup at Family Mart CVS. Orders that have been paid couldn’t be refunded if you exceed the time limit to collect your tickets. Please read our FAQ for the complete regulations on refunding tickets announced by Ministry of Culture. The rules of refund for this event is as follows. 5% of the ticket price will be charged as service fee for all refunded tickets unless the concert is cancelled due to force majeure. If the purchase date is Apr. 13, 2019, then the deadline for the refund application is Apr. 16, 2019. If the purchase date is Apr. 14, 2019, then the deadline for the refund application is Apr. 17, 2019. When apply for ticket refund, customers who paid by cash will be refunded in cash, and those who paid by credit card will get the refund from the credit card used. If the tickets have been picked up, please download and complete the ticket refund application form, and return the form with your original tickets by using registered mail to: tixCraft Customer Service Department 10F, No.270, Sec. 3, Nanjing E. Rd., Songshan Dist., Taipei City 10551, Taiwan. The ticket prices minus the refund service fee will be refunded to your credit card account. If the tickets have not been picked up yet, please download and complete the ticket refund application form and fax it to 02-8772-9853. The ticket prices minus the refund service fee will be refunded to your credit card account. It may take up to 20 working days (start from the date when the application is received) to complete the refund process by tixCraft. After the refund process is done, money will be sent to the credit card company. The time for each card issuing bank to process the credits back to your account is different. Please check with your card issuing bank for the actual time the refund to appear on the statement. If the tickets have been picked up, please download and complete the ticket refund application form. 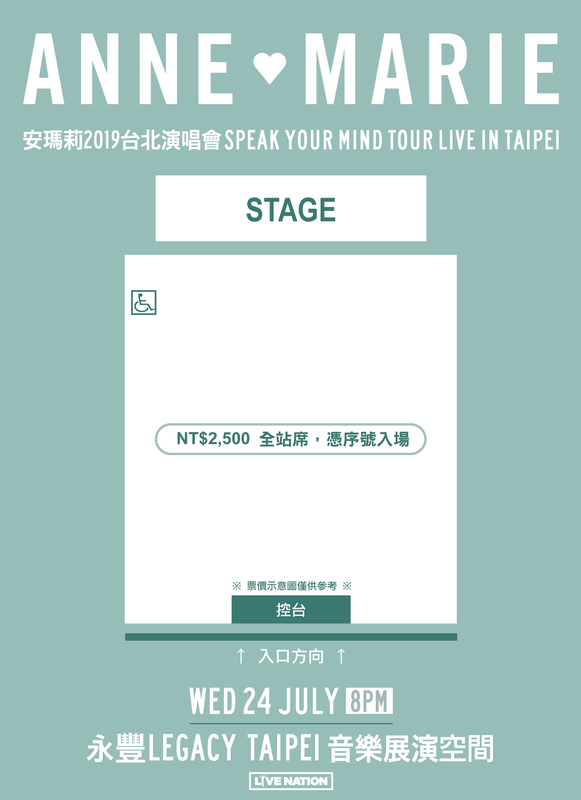 Please have one copy of your passbook (valid domestic account in Taiwan only) and the completed application form with your original tickets sent by registered mail to: tixCraft Customer Service Department 10F, No.270, Sec. 3, Nanjing E. Rd., Songshan Dist., Taipei City 10551, Taiwan. The copy of your passbook must show bank’s name and branch, account holder’s name and account number clearly. The refund process may take up to 20 working days (start from the date when the application is received). Please check your order at "Order History" at tixCraft website after 5 working days. Your order status should be "Refund due to personal issues". If your order status does not change, please contact us immediately by phone or email for confirmation.